ABILENE, TX – Abilene Police and Fire Departments responded to a crash that sent six people to the hospitals on Monday. 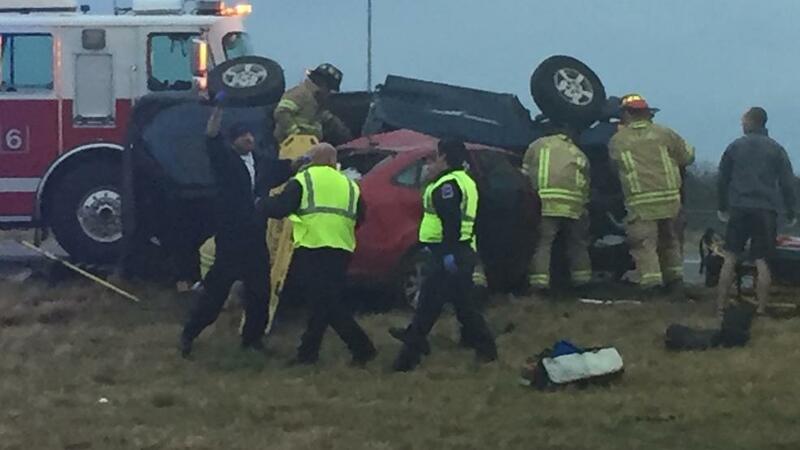 The two departments responded to the crash at around 7:15 a.m on Highway 84/83. The crash involved two vehicles that caused one car to be trapped underneath the other. According to KTXS, six people were transported to the hospital after firefights used the jaws of life to cut the vehicles open. After the crash, there were three additional accidents that occurred.